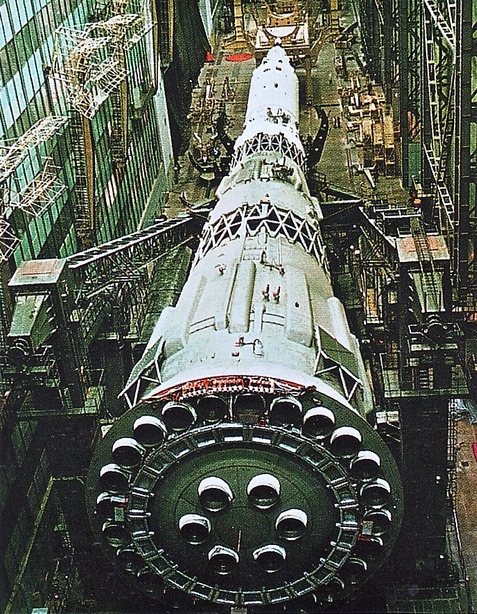 Designed as a super-heavy lift rocket to compete with the American Saturn V and ultimately put a man on the Moon before the US, the N1 development and even its existence was a Soviet state secret for decades! Its first stage was easily the most powerful ever to be flown, but after suffering 4 unsuccessful launches between 1969 & 1972, and the American’s winning the race to the Moon, the program was cancelled. The unusual conical shape of the N1 was due to the use, and position, of spherical fuel tanks which meant the base, was 17 m (56 ft) wide! 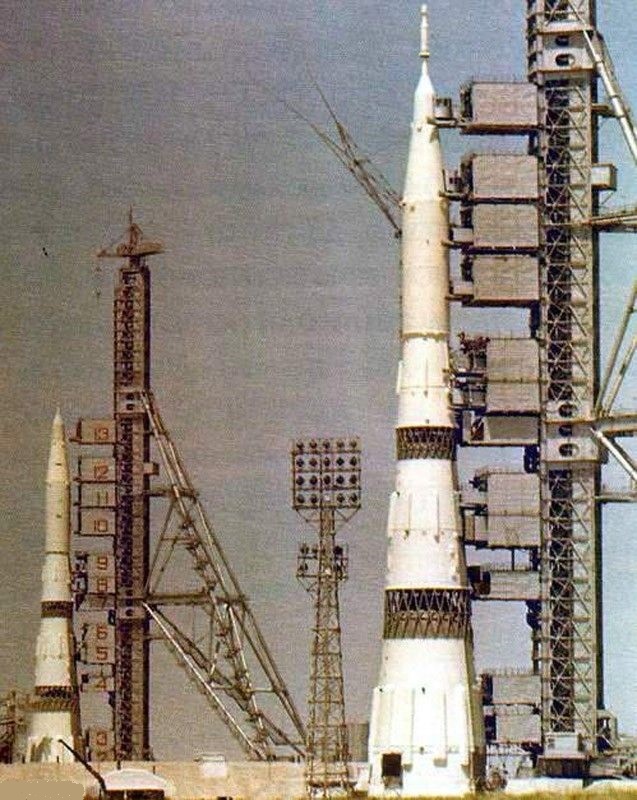 Fully loaded and fueled, the N1 weighed an astonishing 2,750 tonnes (6,060,000 lbs)! 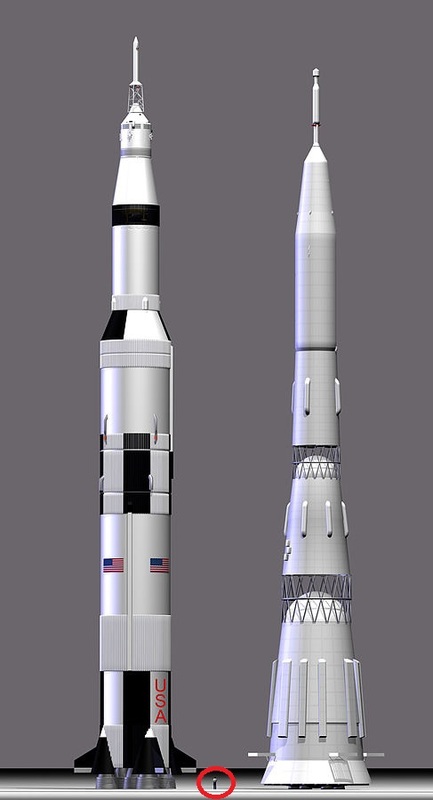 The Saturn V was 6 m (19 ft) taller than the N1 but much thinner at the base (10 m vs. 17 m) due to their different shape – conical vs. cylindrical. 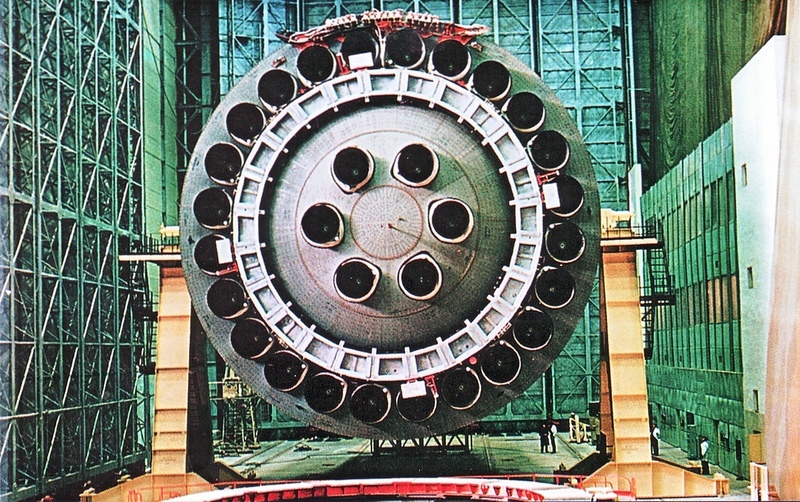 The N1 provided much more thrust from its first stage, on account of the 30 rocket engines to the Saturn V’s 5 enormous F1 engines (this would add to the N1’s reliability issues though). The Saturn V also used higher impulse liquid hydrogen fuel in its upper stages rather than the N1’s Kerosene based rocket fuel. Ultimately the Saturn V had a superior reliability record; never experiencing a major failure over 13 launches, while all four N1 development launches all resulted in failure. 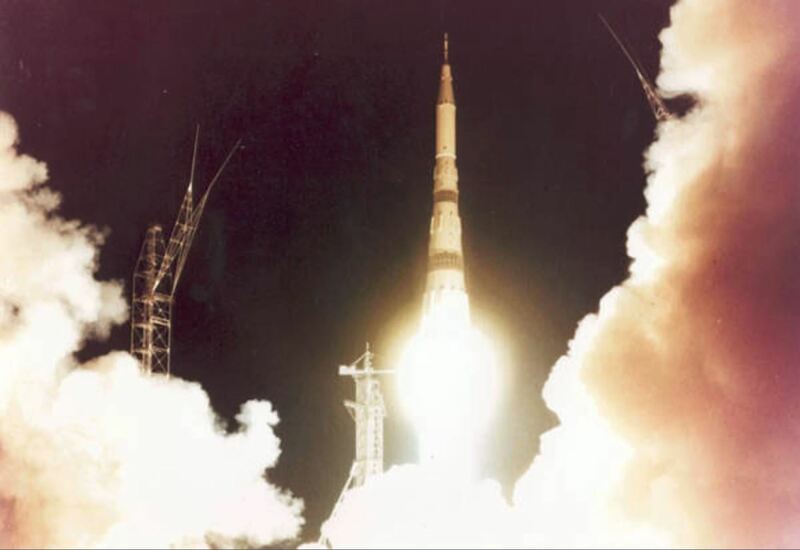 At the time that the N1 lunar rocket program was cancelled, there were two flight ready N1 rockets complete, but they were ordered scrapped to hide the USSR’s failed moon program. 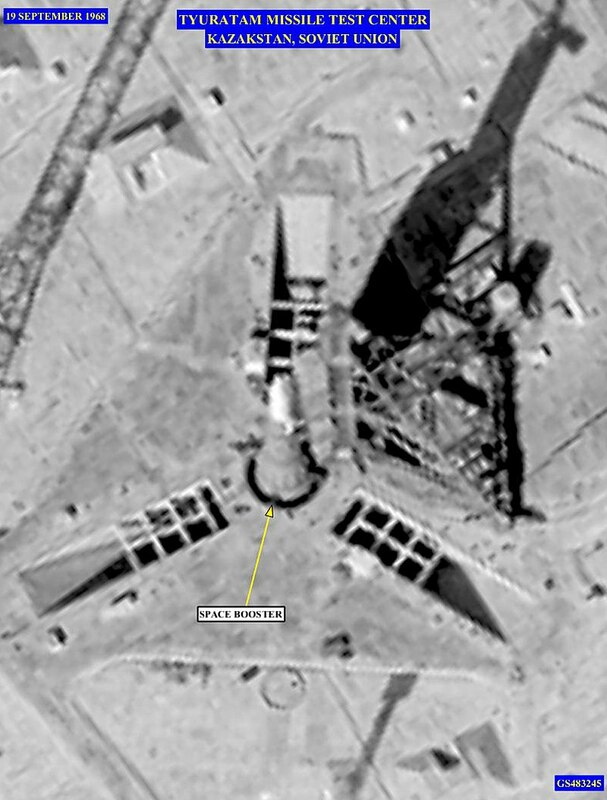 However, about 150 reliable N1 rocket engines were hidden in a warehouse and survived destruction with Russia eventually selling 36 of these for over $1 million each in the mid-1990’s to an American company. These would end up flying in Orbital ATK’s Antares rocket, delivering the Cygnus cargo capsule to the International Space Station. 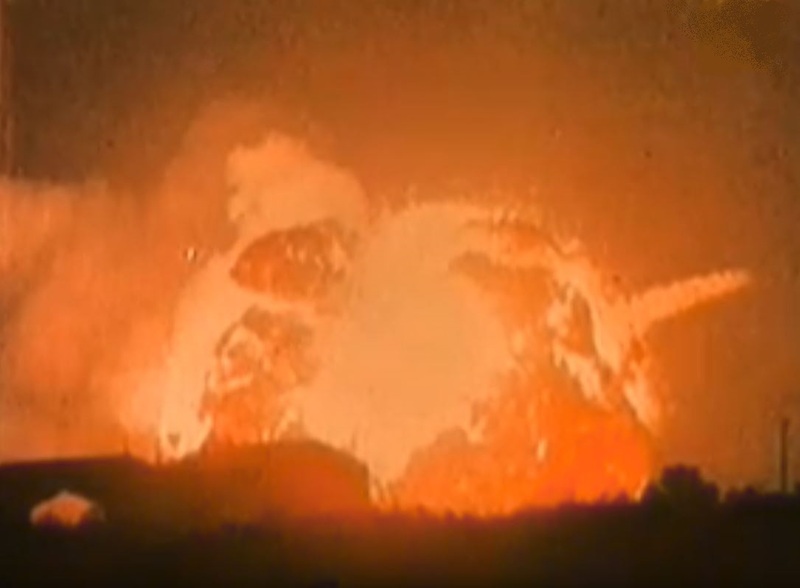 However, a failure in 2014 which resulted in the explosion of the rocket meant they were discontinued. 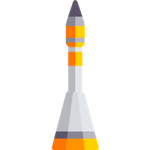 Russia continues to incorporate the remaining N1 engines into new and existing rockets such as the Soyuz. The Private ‘Dear Moon’ SpaceX Odyssey To The Moon!